WOW! I was looking for this type of solution. Thanks for share with us. It will help me a lot. i hva Mysql DB of nearly 100 Tables..
so how to save it. with these diagrams. Also its showing me some primarky key errors pls help.. I am sorry, but I have not understand “so how to save it. with these diagrams”. Please explain. Can you tell me what primary key error you are getting? hi tried installing the connector. i successfully connected to program in VS2008 but could’nt find system data source!!! can u help??? Did you mean Visual Studio 2008 by VS2008? I have not used VS2008. Here I have shown how to reverse MySQL database with Microsoft Visio. I followed the steps. It let me select the tables and all but after that it just keeps processing and hangs. Hi … I have been stuck in the step 8 : # Select MySQL ODBC driver from the list. I am using visio 2003..
Works like a charm! Thx. WOW!!!!!! great!!! thanks a lot mate! Very usefull and easy to do! Tables have been created successfully but, i m not getting the relationships connector between the tables. I followed your instructions. In step 12 which installed visio driver should I use? I’m getting the notice that the Microsoft Access driver in conjunction with the MySQL data source is perhaps not compatible. Which driver should I use? How do I get the MySQL driver? I have just install my SQL driver but still it is not appearing in data source. When I try to add new it was not in that list as well. I saw several messages that people had trouble finding “MySQL ODBC” in step 8, and so did i. To make a long story short, in my case that meant that i had a 64bit OS, 64bit mysql so i downloaded the 64 bit MySQL ODBC connector. What i didn’t notice is that Visio is 32 bit, and that’s why the ODBC did not come up in the list. If you have the same problem try to download also the 32bit ODBC and install it next to the 64 bit (this does not appear to be a problem on a 64bit os) and try again. @Hendrik – Thanks, I had installed the 64-bit and it wasn’t working – your tip did the trick. Visio 2013 does not have this option. Thanks a lot that helped…. Sajjad – I am using Windows in a virtual environment (via VMsphre on mac). I can access mysql db via any tool including MySQl workbench. I have VIsion 2010 32 bit installed. 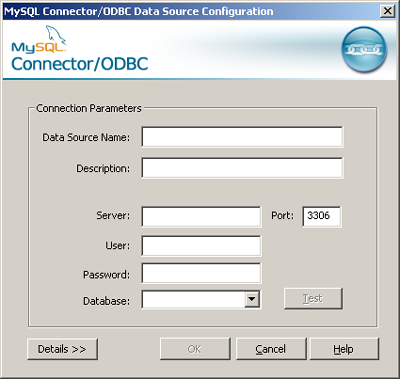 I installed the mysql ODBC 32bit driver and I can now select mysql from the source. For some reason Visio is not able to connect to Mysql and only get the information schema and non of the other databases. Please advise what am I missing here? Also, is there a way to upload the schema informaion in visio without any database connectivity (from a file that can be generated via a script)? I’ve followed steps (Thank you Hendrik for clarification) and got this error code — “can’t connect to mysql server 10060”. Has anyone overcame this error? How? WOW! it sas really AWESOME. THANKS!